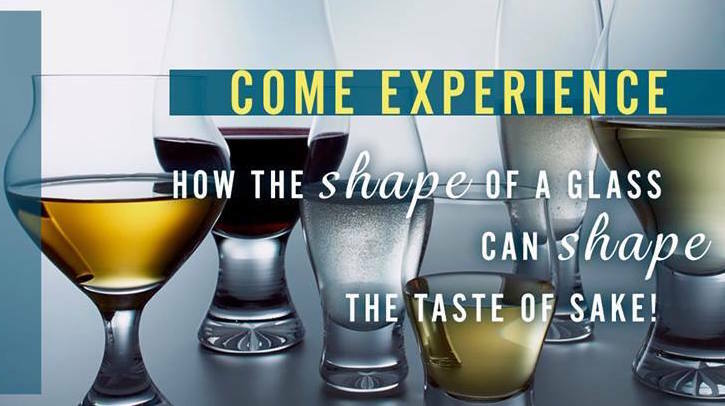 Monday, February 6 from noon until 5:00 p.m.
Kimoto Glass Tokyo and Amabuki Brewery team up for a free sake tasting and demonstration of how the shape of a glass can shape the taste of sake. Sake Discoveries will pour Amabuki’s sake, which is made using different flower yeasts. The beautiful artisanal glasses will be available for purchase at the MTC Kitchen Showroom during the event. Great for drinking sake, and a great gift idea for Valentine’s Day.